bing.com has announced the top searches of 2013 for events, news, memes and people. The top searched person of the year is Beyonce, according to bing.com. This year, Beyonce performed at the NFL Superbowl. 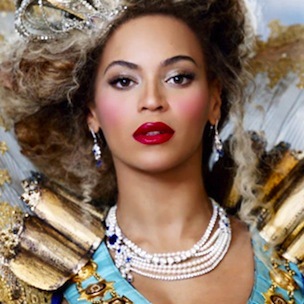 Beyonce also kicked off The Mrs. Carter Show World Tour and released Life Is But A Dream, a documentary on HBO. Kim Kardashian was the top-searched person last year and is now in second place. Rihanna rounds out the Top 3 in this category. Beyonce, Rihanna and Taylor Swift were the Top 3 musicians searched on bing.com. Macklemore & Ryan Lewis topped the most-searched-song category and they were followed by Robin Thicke’s T.I.-assisted “Blurred Lines” selection. Beyonce is working on a new album, according to Pharrell. The producer spoke about what fans can anticipate from Bey’s next project during a recent interview. The top searches can be viewed below.